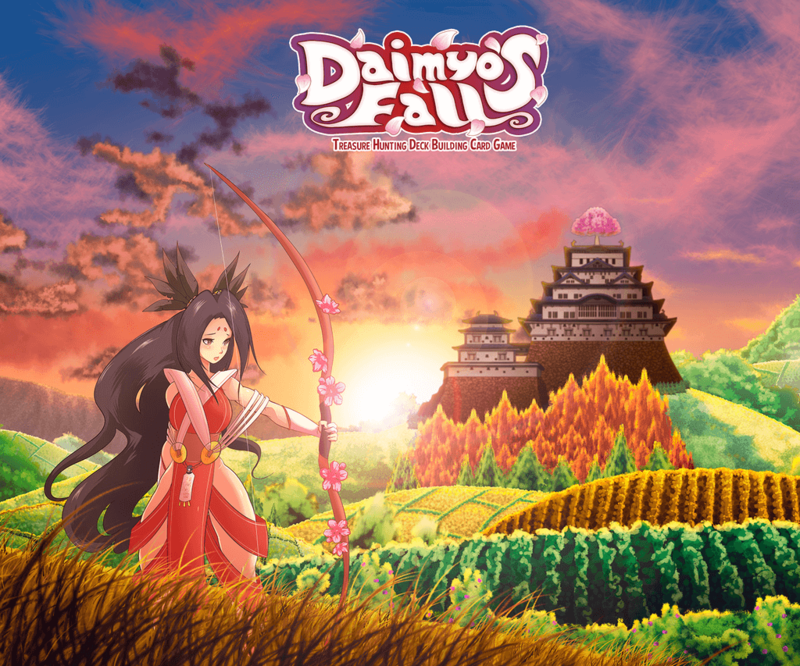 Daimyo’s Fall – Who Is Going to Become the Next Daimyo? The daimyo of Yamashiro has died and all the men of his region have mysteriously disappeared, leaving the land in total disarray. Now, ninjas and samurai warriors will try to conquer the palace of the dead daimyo and lay hands on his treasure. In Daimyo’s Fall, noble men and women fight to take hold of the palace of Yamashiro and become the next daimyo. The game features a Loot System that allows players to choose among different paths, in order to achieve their goal and gain victory points. You can buy more heroes or you may even change the hero you started with based on the different conditions. Moreover, you can sell the cards you no longer need to gain money and buy more powerful cards. Finally, you have the ability to control the game time and delay the end of the game. What is more, each type of card has two different sides – ninja and samurai – both of which have different abilities and bonuses. Daimyo’s Fall got funded on Kickstarter in just 28 hours and the campaign is set to go until June 7th.